Real-time shop floor data tracking and production management systems such as Leadtec (Blue Cherry Shop floor Control), iWorkPMS, Raptor are gaining popularity day by day in apparel manufacturing. These systems use RFID (Radio Frequency Identification) or Barcode technology for real-time information capturing. 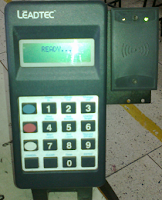 Information tracked via RFID readers (terminals) in the shop floor is processed through software and provides various reports that help managing production. Most essential reports such as line balancing, WIP, individual operator performance, line performance and employee earnings are available within a second. In India, Leadtec system is quite familiar for shop floor production monitoring and efficiency improvement. 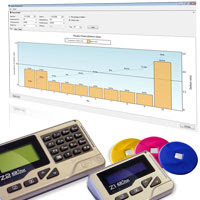 Name of the lead RFID solution providers with their product name and site link is given here. To learn more about the products you can visit their site. Solution Provider: Zymmetry Group, Hong Kong. Image source: above images are taken from respective sites. 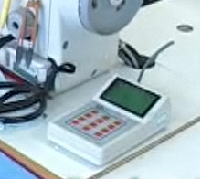 A list of shop floor production tracking systems for the garment industry. 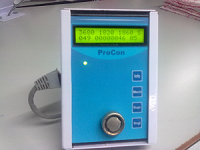 These system helps you tracking productions, improves visibility and controlling the target daily production.